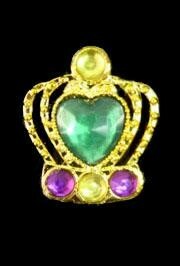 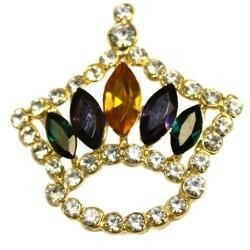 A purple, green, and gold jeweled crown. 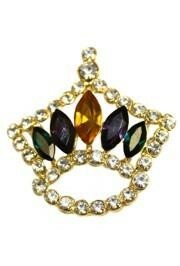 This crown measures 2 inches x 1.5 inches. 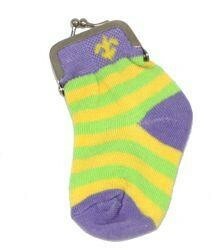 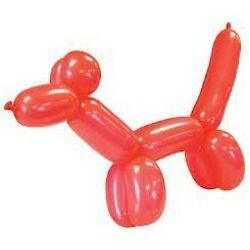 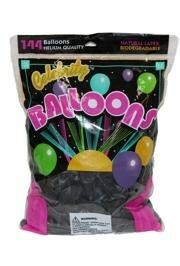 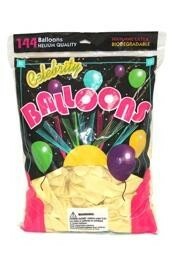 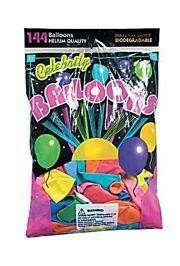 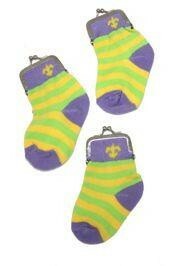 These are great for parties, parades, and craft projects. 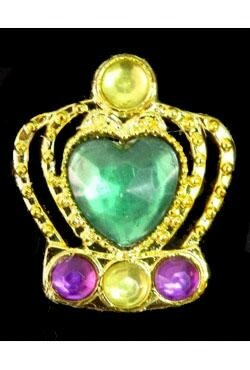 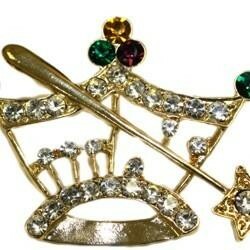 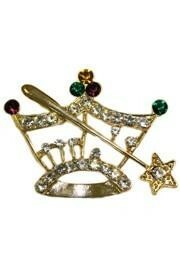 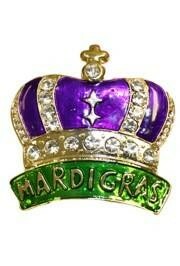 Gold metal alloy Mardi Gras crown and scepter pin / brooch decorated with small white and large purple, green, and yellow rhinestones. 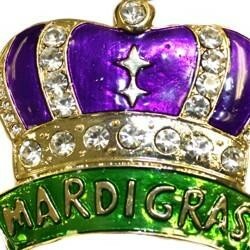 1¾" tall x 1¾" wide Mardi Gras crown pin/brooch with 5 large purple green and gold rhinestones surrounded with smaller white rhinestones.